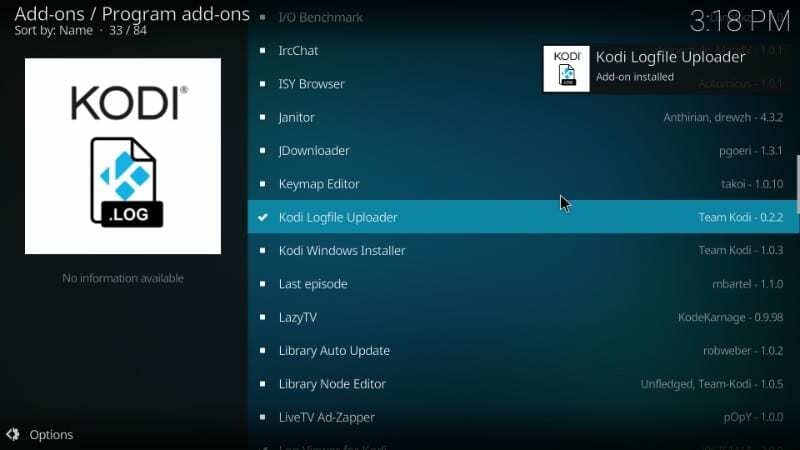 In this guide, I will show you how to check Kodi logfile on Kodi 18.1/18.0 & Kodi 17.6. 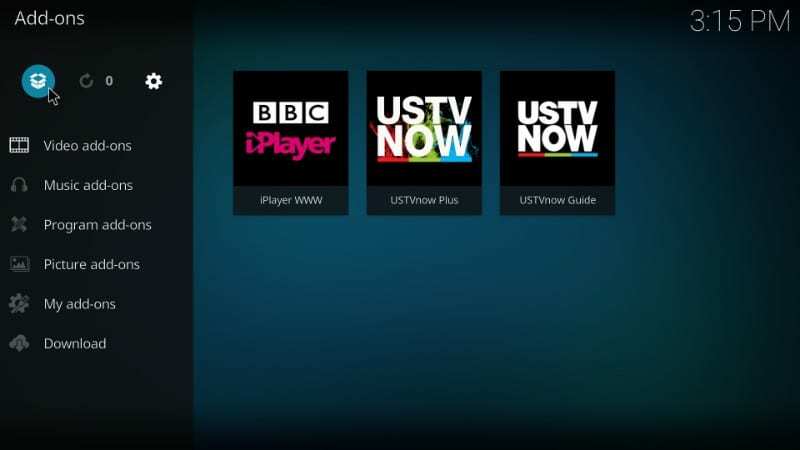 The guide covers the manual process for all the popular Kodi supported devices. 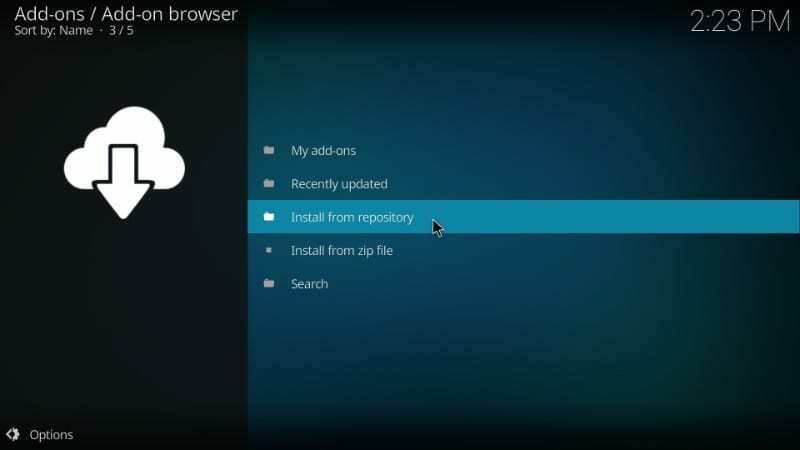 You will also get the detailed instructions to install relevant Kodi addons. 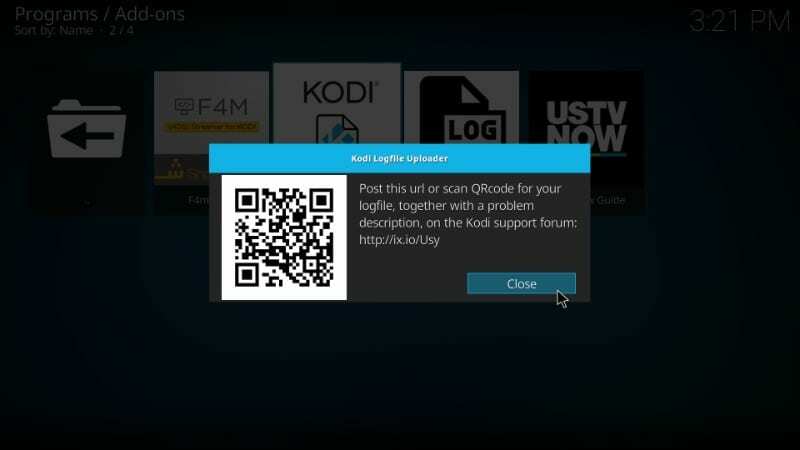 Why do I need the Kodi log file you may ask? Kodi is a great media player, used by millions worldwide. But, it is not perfect. Sometimes, you bump into errors that don’t seem to go away. You may then seek help in the Kodi official forums or from a Kodi expert you may know. The one who troubleshoots your issue is likely to ask you for the Kodi log file. You might have noticed the message “Check the log for more information” along with errors on Kodi. The log file contains information specific to the error, thereby allowing us to find more relevant and accurate solutions. 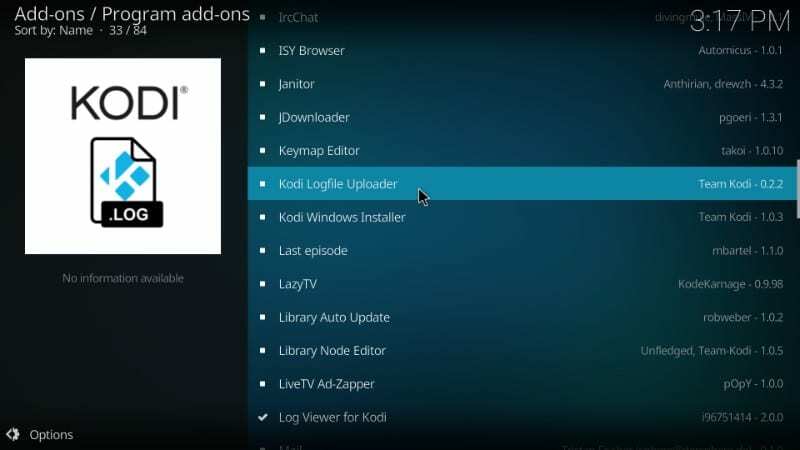 In this guide, you will learn how to check log on Kodi. 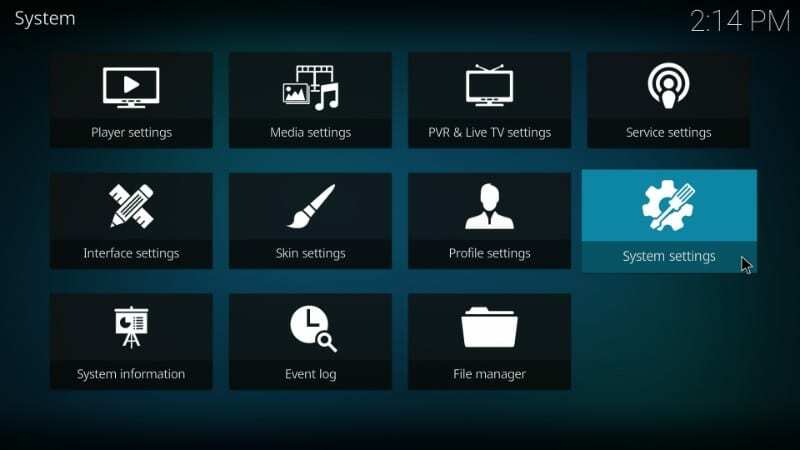 First, you will see how to manually find the Kodi log file residing in the device storage. Later, I will introduce you to two Kodi addons that let you access the Kodi log location from within the Kodi app. Keep reading! You could also check the Kodi log file manually. The log file is a simple text file. Therefore, you can open it with any basic text editor/viewer such as Notepad on Windows. 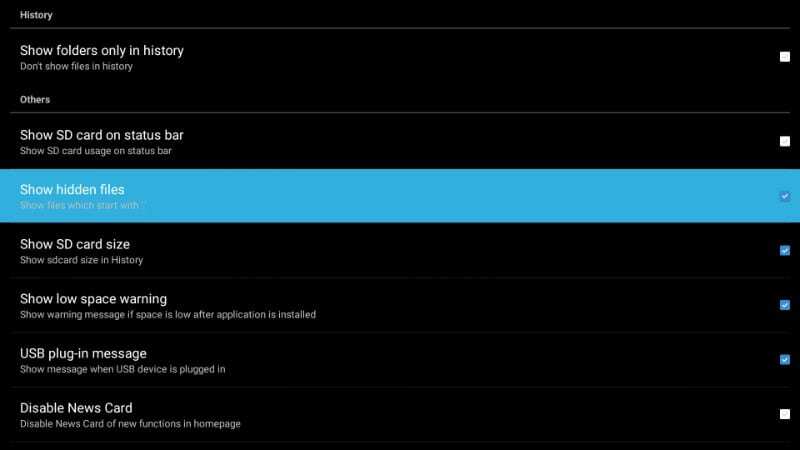 You will need to manually navigate to the folder on the device storage where the log file resides. The path to the folder varies across devices. Here is the list of Kodi log location by devices. 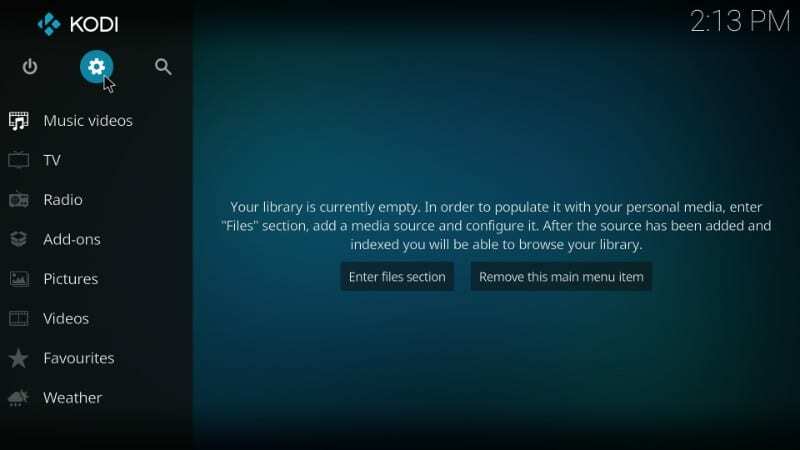 In the event, you can’t find the file, use the Kodi Logfile Uploader add-on. Windows users can follow the path below. If you are a MacBook user, you should find the Kodi log file at the following location. 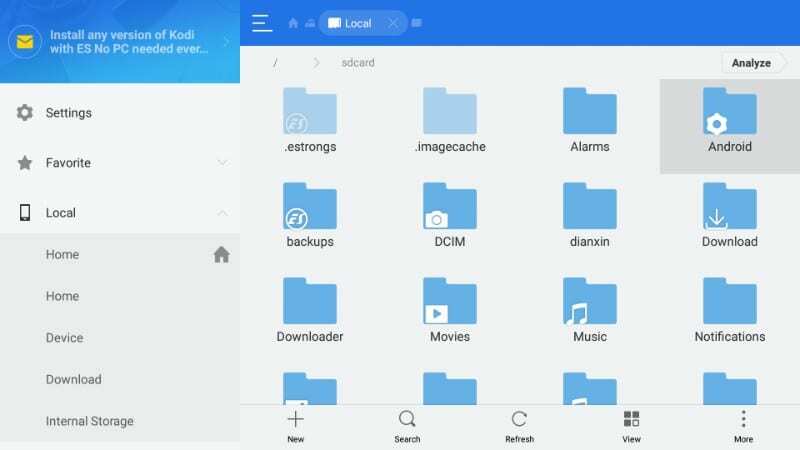 In the Android devices, the “.kodi” folder is hidden. You will need to unhide it first to access the log file. 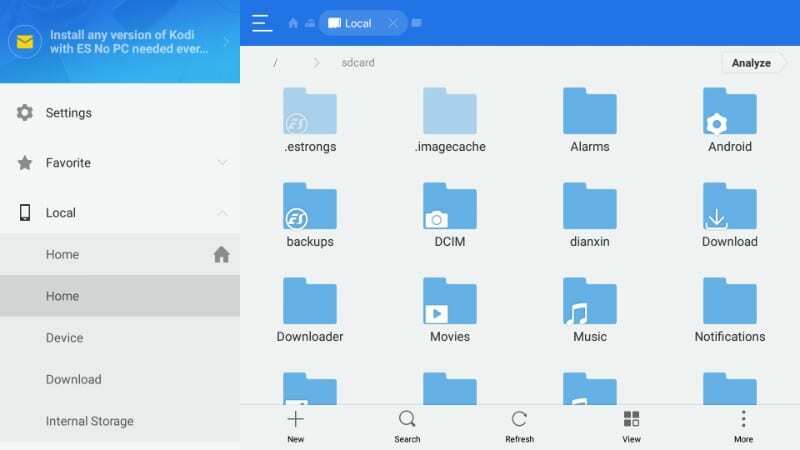 All file manager apps have an option in the settings to unhide the hidden folders and files. 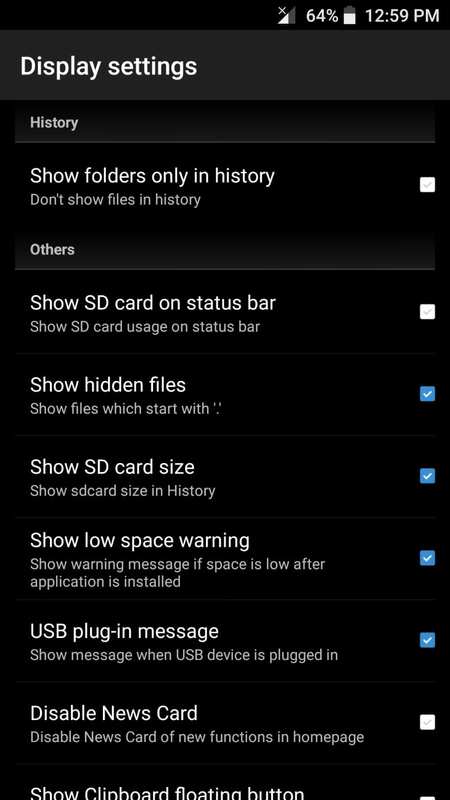 For instance, if you are using ES File Explorer, you can make the hidden folder and files visible by turning on ‘Show hidden files’ from Settings > Display Settings. You can use any file manager to view the Kodi log file, which is saved on the FireStick storage. 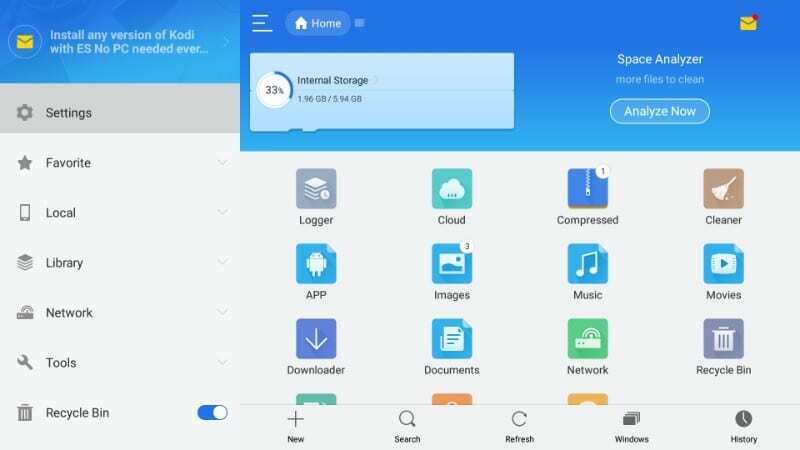 I prefer ES File Explorer, which is one of the best FireStick apps to explore Fire Stick storage. Get ES File Explorer – From the FireStick homes screen, select search icon on the top right and type in ‘ES File Explorer’ (without the quotes). Select ES File Explorer in the search result and click it by pressing the select button on your remote. Follow the onscreen instructions to install this app. Navigate to data > org.xbmc.kodi > files > temp. 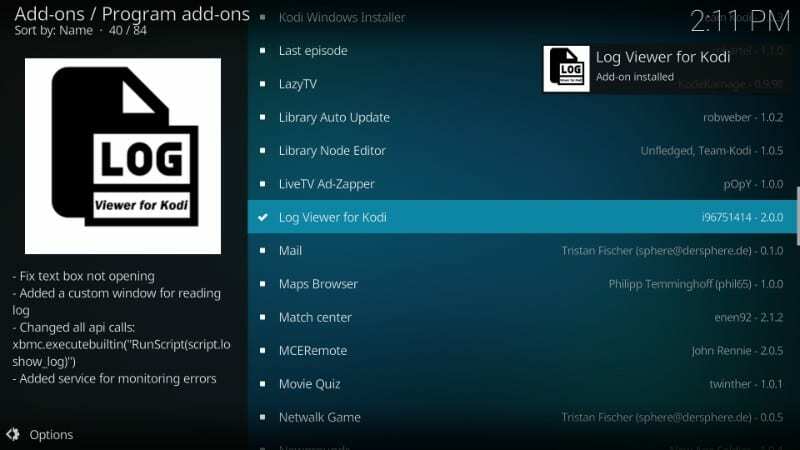 You will see the ‘kodi.log’ file here. So, this is how you check the Kodi log on your FireStick or Fire TV device. If you got a new Fire TV Stick and don’t have Kodi on it, follow the below resources link. 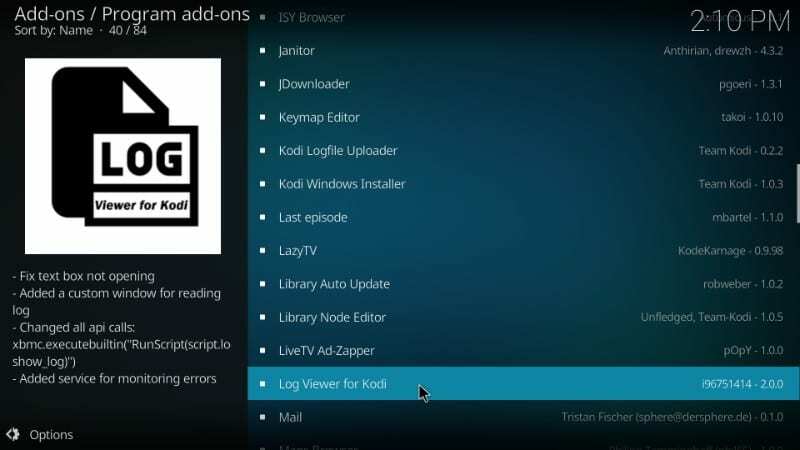 If for some reason you cannot navigate to the log file on your device storage, you can always use a Kodi add-on called ‘Log Viewer for Kodi’. This add-on will let you view the logs from within Kodi, without you having to look up for the folder. 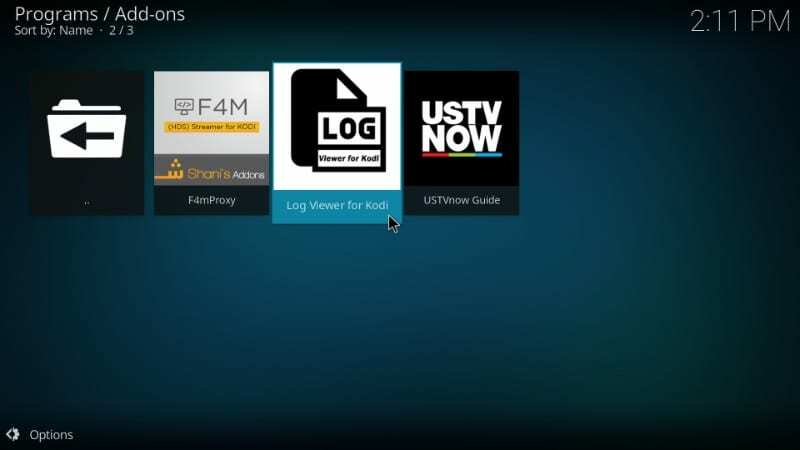 Log Viewer for Kodi is available in the official Kodi Add-on repository. I will show you how to install this add-on. Here are the steps. #1. The first thing you need to do is click the ‘Add-ons’ option on the left sidebar. 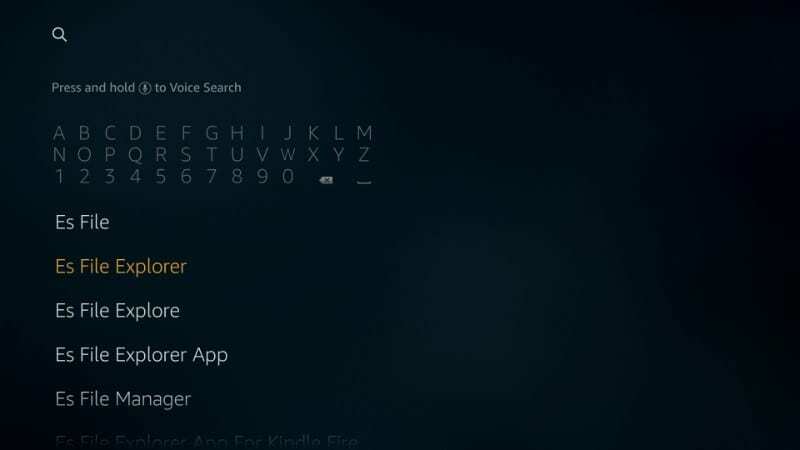 You will find it on the Kodi home-screen. #2. Now click the open box icon on the top left, which is also called Package Installer. #10. 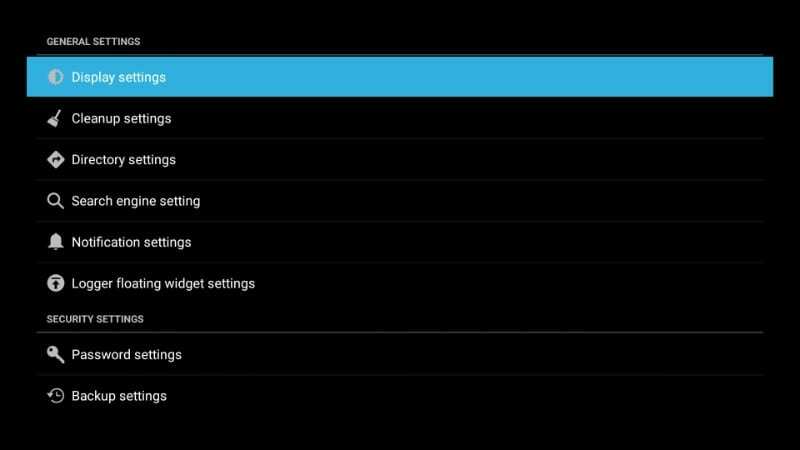 You will now see three options – Show Log, Show old Log, and Settings. You can view the most recent logs in the ‘Show Log’ section. 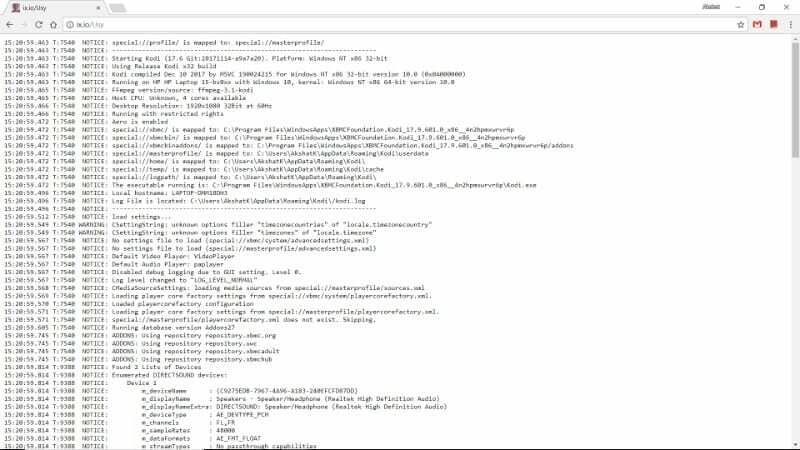 If you have run into any Kodi error, this is the section you will want to open to get the latest Kodi logs. In case you want to view the older logs, you will find them in the ‘Show old Log’ section. #11. This is how your Kodi log will look like. I am not sure why, but the logs are sorted by older first. For the most recent logs, you will have to scroll down all the way to the bottom. But, you can change how the logs are sorted and view the most recent ones first. 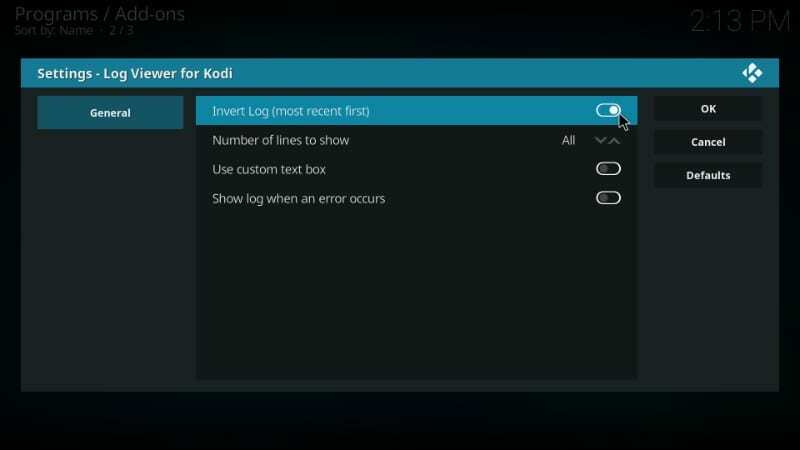 If you would like to display the Kodi log automatically when the error has occurred, enable ‘Show log when an error occurs’. If Kodi or an add-on is behaving erratically, and you are looking to get help from the experts, you will want to make sure that you provide as much information about the error as possible. This helps the trouble-shooters at Kodi Support Forum understand the problem better and offer more relevant solutions. Debug logging, when enabled, adds additional information about the error to the Kodi logs. This added information could be vital in resolving the issue. 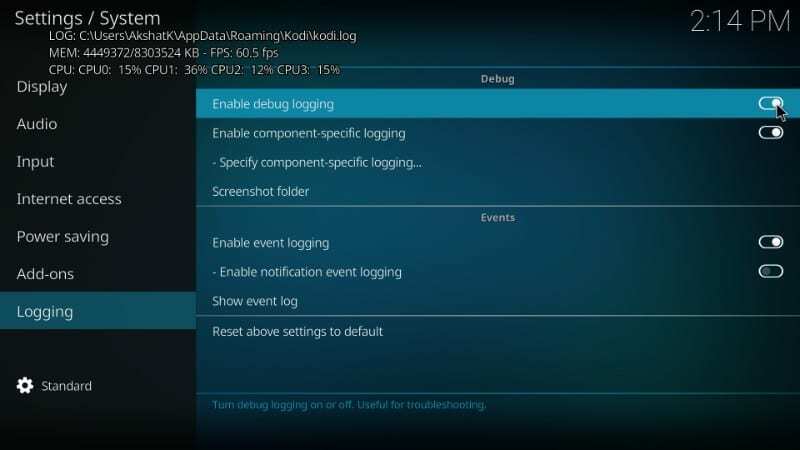 So, before you generate the log file using the ‘Log Viewer for Kodi’ or any other add-on, it would be worth your while to Enable Debug Logging. #3. Select ‘Logging’ on the left sidebar and you will see the related options on the right. As you can see in the image below, switch the ‘Enable debug logging’ on by moving the toggle. 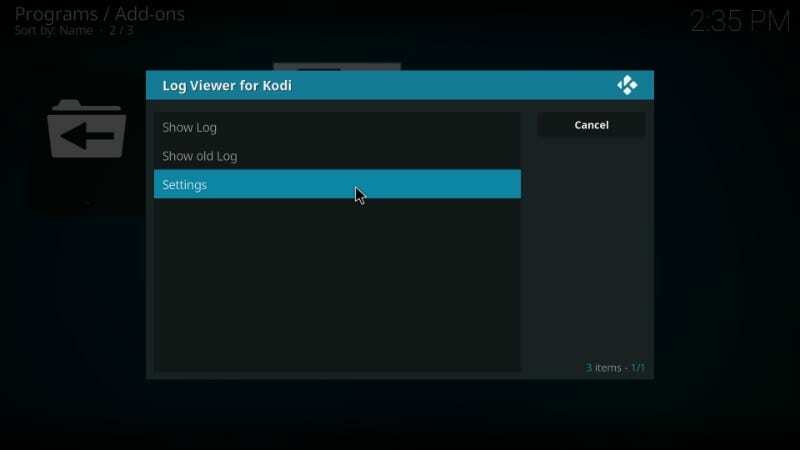 The moment you do that, additional log information will start appearing on the top left of the Kodi window. You don’t have to concern yourself with this information. But, it will add some really useful data to the Kodi log, which the developers or experts at Kodi Support Forum can use to fix the problem at hand. 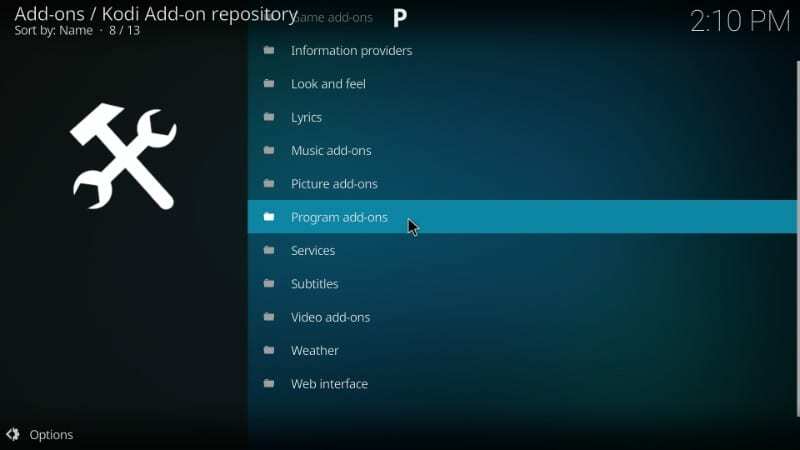 All you have to do is reboot Kodi after enabling this option and reproduce the error. Plenty of new details will be added to the log file. I know this additional overlay on top of every Kodi screen could be pretty annoying. It might draw your attention away from the content while watching a movie or any other content. But, you don’t have to keep the ‘Enable debug logging’ turned on all the time. Once you have regenerated the error and added more details to the log, you can turn it off again. 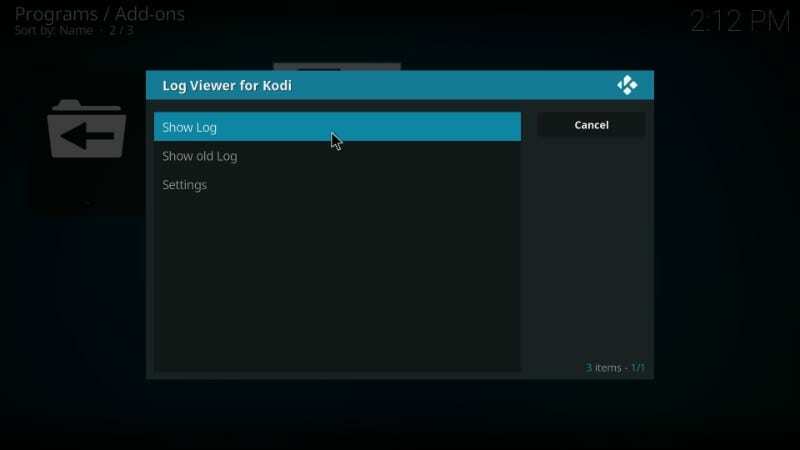 Log Viewer for Kodi plugin lets you view the logs. That’s good! But, what if you had to share the logs at the support forum or an expert? 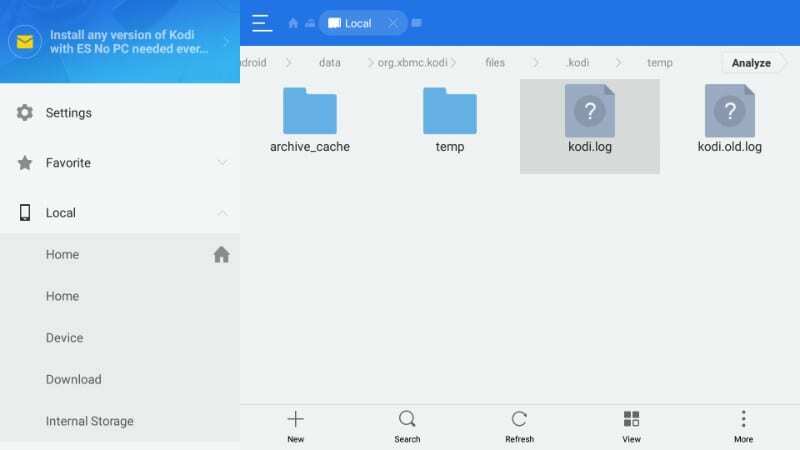 Of course, one way is to locate the log file on the device storage and upload the file to the Kodi support forum. This seems like a long-drawn process and often users are not able to locate the log folder. Thankfully, there is an easier way. You can upload your logs directly to the server and share the URL with the concerned persons using the ‘Kodi Logfile Uploader’ add-on. This add-on is also available on the official Kodi Add-on Repository. 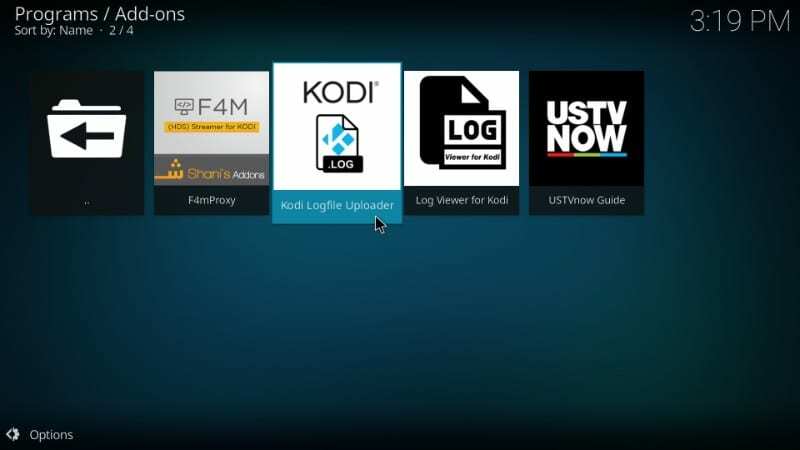 I will show you how to install and use Kodi Logfile Uploader. I have disabled Debug Logging as it hides the icons on the top and the images will not be very clear to you. So make sure that you turn Debug Logging on before following the steps below. #5. Click ‘Install’ on the next screen (the button in on the bottom right) and like always, wait for the add-on to install. When you see the Add-on installed notification on the top right of your screen, it means you are good to go. #7. Open the add-on. First, a prompt is displayed asking if you wish to view the logfile or upload it. Click ‘View’ to just view the logfile. Click ‘Upload’ to upload it. Upon clicking upload, a new pop-up will appear with a URL. You can access this URL to view the logs. Share this URL with the description of the problem on the Kodi Support Forum. As you can see, there is a QR code for the log file. Just scan the code with your mobile and you will get the link to download the file on your device. Every time you open this add-on, a new URL is generated with the updated logfile. 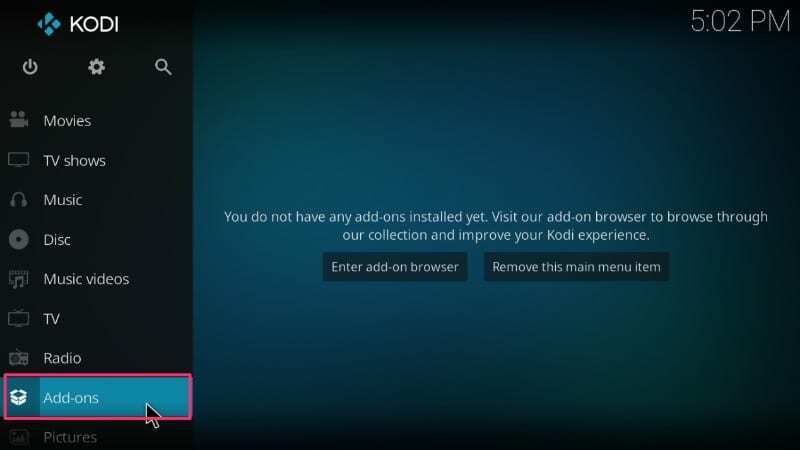 When you bump into a Kodi error you cannot find the solution for, you could seek help from the Kodi Support Forum or any other Kodi expert you may know. There is a fair chance you will be asked for the Kodi log file. 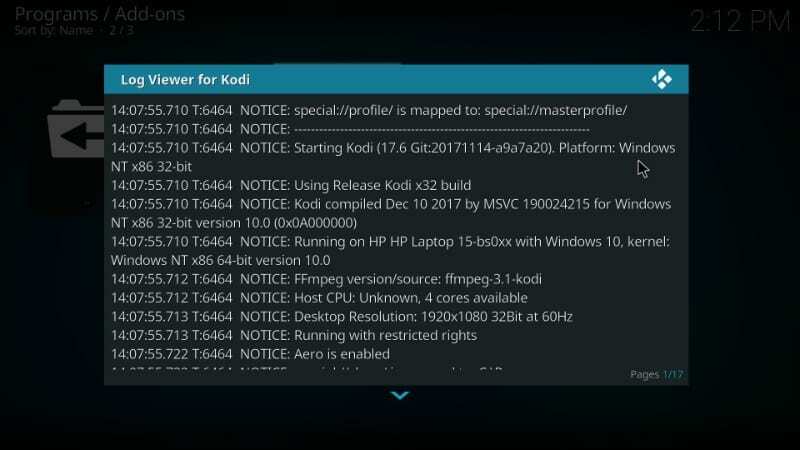 This file has all the relevant details of the Kodi error and helps find a more accurate solution. You can navigate to the kodi.log file through the path I have provided. However, if you find that a bit long-drawn, you can install the Log Viewer for Kodi and Kodi Logfile Uploader add-ons. Both these add-ons are found in the official Kodi Add-on Repository. You don’t need the log file every day. But, when you get the error message “Check the log for more information,” you must know how to get it. That’s what this article is all about. I hope you found it useful. Please feel free to comment below if you have any suggestions or questions. Thank you for reading! I just installed Kodi Xenon and the error I am receiving is Chappa’ai. I have went into settings and done multiple things that I have found online. Nothing is working. What is my next option? I couldn’t uninstall because I would then get a Metalliqs?? error. Hi. Im getting an error “check the log for more information” in Icdrama apps. How can i resolve it. Thank you. I cannot install DSLIVE onto my firestick (1st generation) with Kodi 18. I simply cannot stream anything what so ever, and the whole system so slow too. It’s not my Internet connection as I have Deathstar 2.1.5 on another firestick and that works fine. I’ve spent hours trying to figure this dslive problem and, it’s driving me insane. I uninstalled and reinstalled kodi, and it still isn’t streaming anything. Does anyone know how to resolve this issue? Hi David, I couldn’t find any addon by the name DSLive. What exactly are you referring to? hey im trying to use sport365 addon on my 18.1 version kodi on my android box but i get the log error message. any idea how to fix it ? Hi Bishop, is that happening with all the videos or select videos? I just checked and it worked fine for me. You may want to uninstall and reinstall Kodi and then reinstall the addon. Hi Jose, which app are you trying to watch live TV through? Fixed it! Apparently Exodus Redux had auto installed an update. Said if i was having issues to reset settings to defaults, so thats what i did. Appears to be working fine now, except there is no stream available for the ep im trying to watch. Kind of odd though, being such a recent ep. I also have cable, so i could wait until tonight and watch the repeat before the new ep, but id rather get it outta the way now lol. Haha im totally lost! I tried to open and use kodi as usual, so i opened exodus redux and went to try to watch last week’s ep . Got all the way up to the screen where i pick the episode, and got the stupid check log warning. Using other tutorials, i went to the repository and got the log viewer, inverted view, etc but im not certain which warning or error is causing my problem. Not sure if it matters, but im running Kodi on an Nvidia Shield tv. I realize that this is a page for the Fire Stick, but i liked the way you presented info, and thought i would try regardless lol. All this education is great, however I still don’t know how to fix the errors, so that I can finish Kodi 2019. I got two errors: Previous line repeated 2 times and GetDirectory -Error getting. Where do I find instructions on ahow to fix errors? Hi Ana, what were you trying to do exactly when you got these error messages? Please share the details so that I may look into it further. Hi Tim, honestly, I am not sure what this error is all about. Could you please provide more details, like what exactly you were trying to do when this error appeared? OK…I did this. It works just as described, and I am an elderly, NOT tech-savvy woman, and easily followed all of the steps! Thank you for such a clear, concise set of instructions!